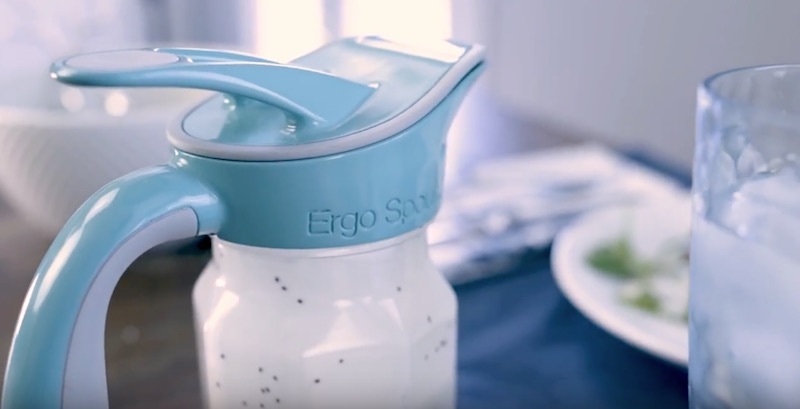 If you like having liquids in your mason jars, the Ergo Spout is perfect for you! 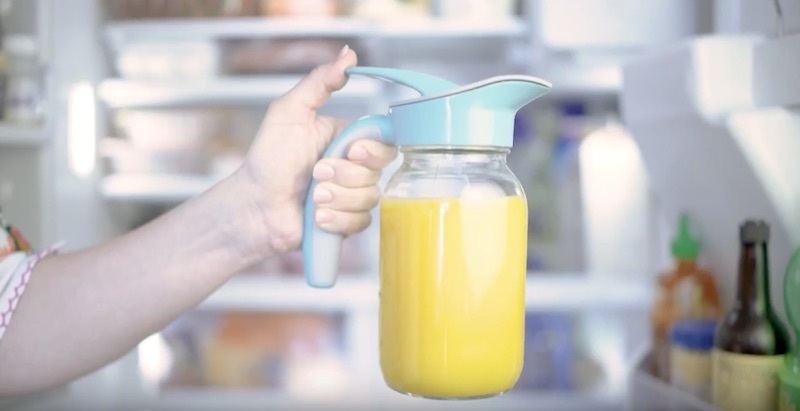 It’s designed to pour liquids from your mason jars in an ergonomic way. 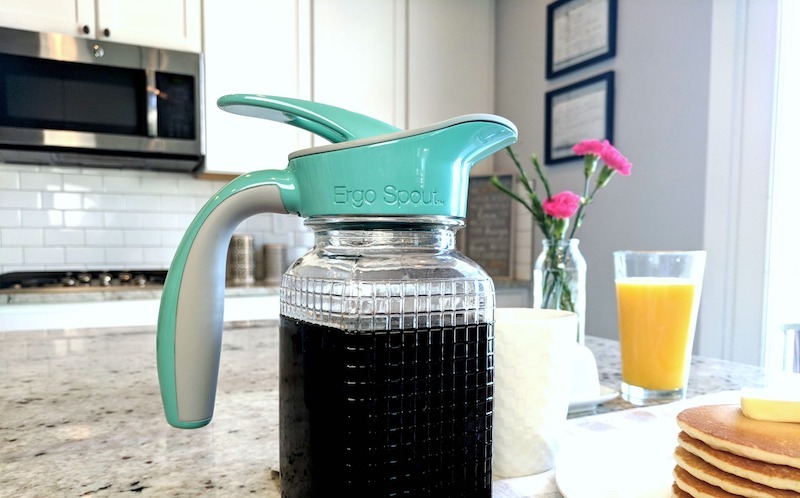 It’s the world’s first ergonomic spout and handle for your mason jars, letting you pour with ease. 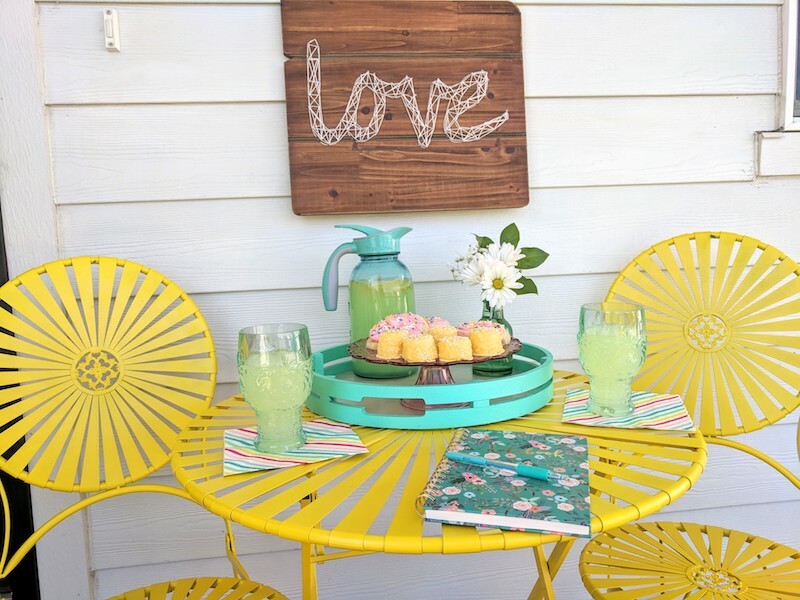 Whether your jar came from sixty years ago or you bought it at the store last week, the spout will fit your jar’s mouth. The spout comes with three physical parts. 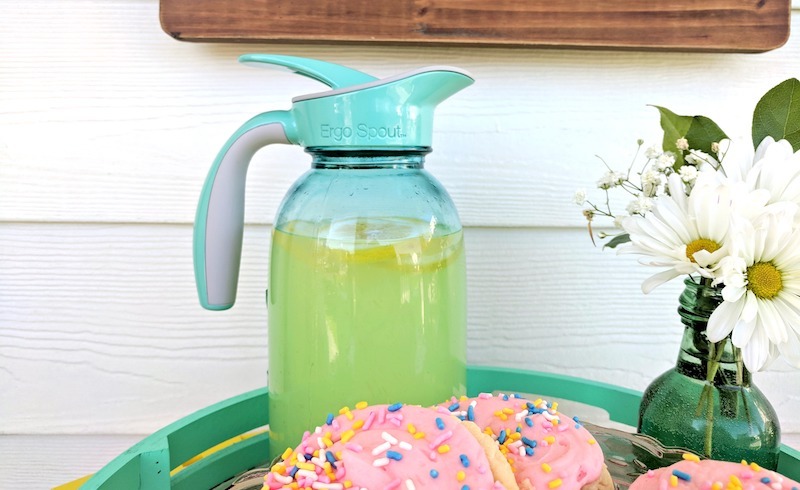 The lid connects inside the rest of the spout, and it’s completely removable—the connectivity creates a hinge that makes pouring easy. The main spout has a curved lip that prevents dripping. 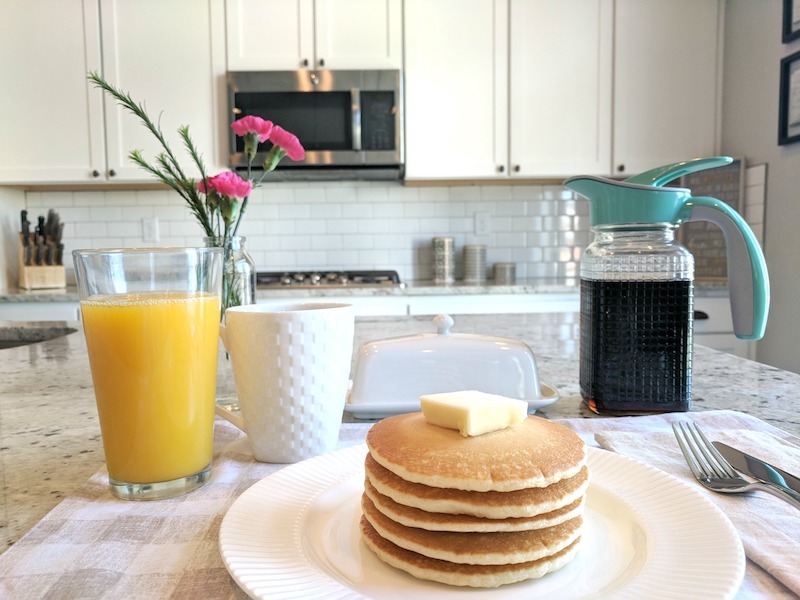 The gasket connects the spout to the jar—this gives it a complete seal, ensuring there is no dripping and spilling. 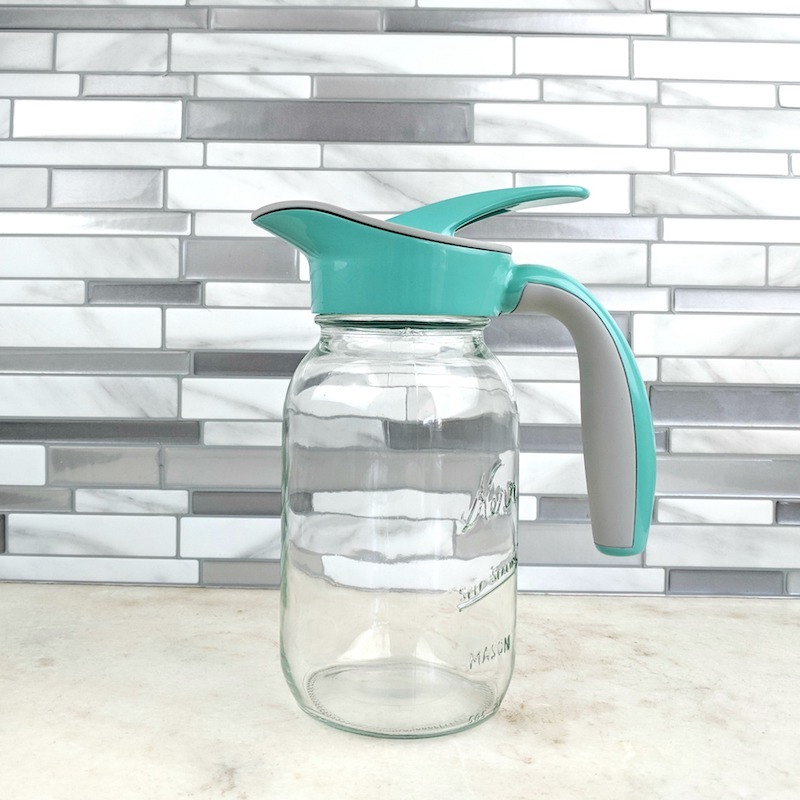 The flip top lid is easy to reach, and the ergonomic handle is comfortable to pour the heaviest of jars. 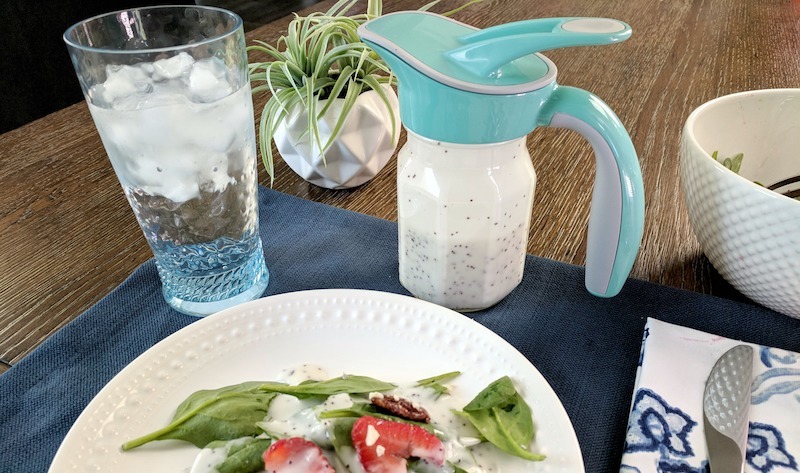 You can use it to pour syrup, juice, lemonade, salad dressing, and more!